Our high efficiency wood burning stoves range from contemporary to traditional – flick through our online brochures to make your preference, then explore our detailed product pages to find more. 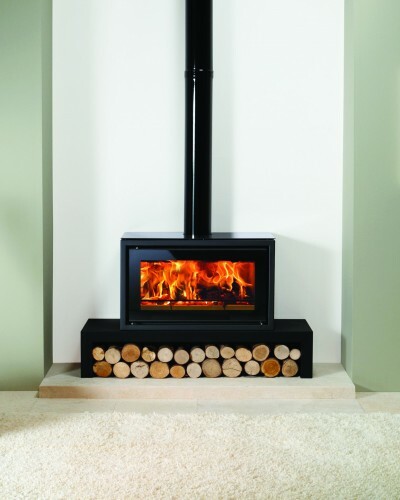 Our online guides to buying, installing and looking after your wood burning stove are designed to help you through the whole process, giving you all the information you need to make an informed decision on your individual wood burning stove. New to the range and as a continuation from the Stovax Riva™ Studio Edge, the Riva™ Edge + inset wood burning fire provides a similarly frameless ‘hole in the wall’ fire look, yet offers the additional benefit of a more simplified finishing process. 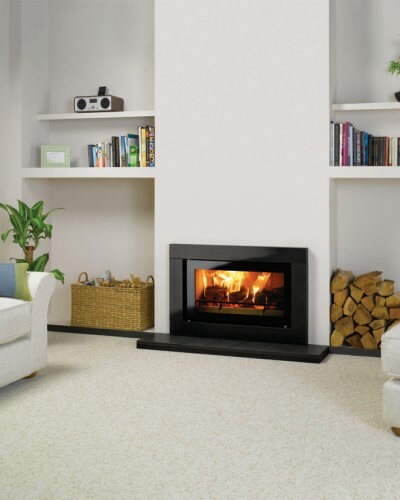 With a complementary Matt Black finish, the Riva™ Studio Edge + inset fire is a sophisticated and functional styling option that simply lets the Riva™ Studio’s impressive wood burning flame picture provide all the aesthetic appeal! The Stovax Riva™ Studio 500 is a new addition to Stovax’s range of Riva™ Studio Freestanding stoves, further extending and complementing the already impressive choice of Riva™ Studio fires available. This high performing wood burning stove has a compact, yet innovative design, broadening the Riva™ Studio’s versatility and suitability to a variety of homes. With a heat output to match that of the Riva™ Studio 1 Freestanding stove, the Riva™ Studio 500 Freestanding stove will provide ambiance and warmth to a cosy inglenook. It can also be teamed with a number of optional extras including the black glass top plate for a sleek and shining finish. The Riva™ Studio 500 can also be placed on one of Stovax’s Riva™ Freestanding Benches to create a real style statement. 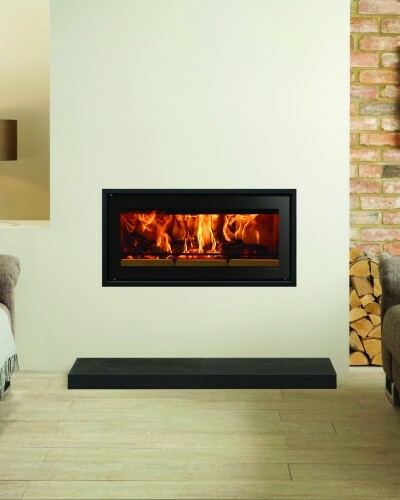 The Stovax Riva™ Studio 1 Freestanding incorporates the impressive firebox performance of a wood burning inset fire with the welcoming presence of a stove. 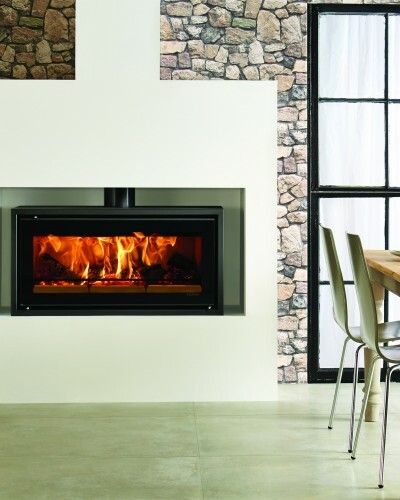 Available with a number of optional extras to help you create the right look for your home, the Riva™ Studio 1 Freestanding wood burning stove can be hearth mounted or installed on a Riva™ Studio Bench. An optional heat shield kit can be fitted to the bench in order to reduce the distance to combustible materials if required. 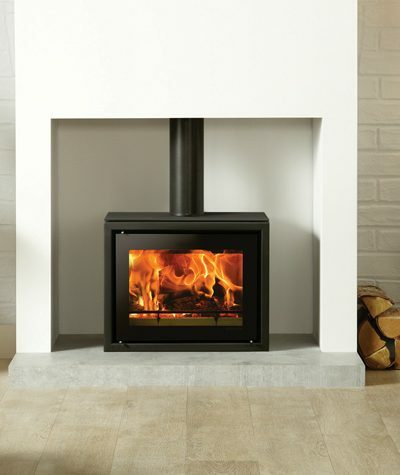 This Freestanding stove version of the Stovax Riva™ Studio 2 wood burning inset fire offers you up to 8kW of heating capacity as well as superb views of the flames. Featuring exactly the same firebox attributes as other Riva™ Studios, the Riva Studio 2 Freestanding wood burning stove may be mounted on a hearth or installed onto your choice of six optional Riva™ Freestanding Benches.